Free Resources | FreeTapWater.org | Find free, clean, sustainable tap water wherever you go! •	The north is bounded by Western Avenue to Massachusetts Avenue to Nebraska Avenue to Military Rd to Missouri to New Hampshire Avenue. •	To the west by Canal Road to the Clara Barton Pkwy. •	If water is discolored, run the tap until clear, prior to boiling. •	Bring water to a rolling boil for 3 minutes. •	Allow water to cool before using. •	Store cooled water in a clean container with a cover. The valve problem was corrected and pressure has been restored. Our teams will continue to test samples of the water and we will lift the advisory when we determine the water is safe. Customers will be notified immediately when the advisory is lifted. If you are concerned about your health or the health of your family, please consult your health care provider. Please share this information with everyone who drinks this water, especially those who may not receive this notice directly (for example, people in apartments, nursing homes, schools, and businesses). For more information, visit http://www.dcwater.com, or read the FAQs at dcwater.com/boilwaterFAQ. 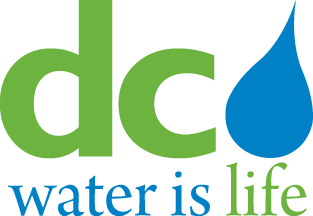 You may also contact DC Water Customer Service at 202.354.3600 or the 24-Hour Command Center at 202.612.3400.